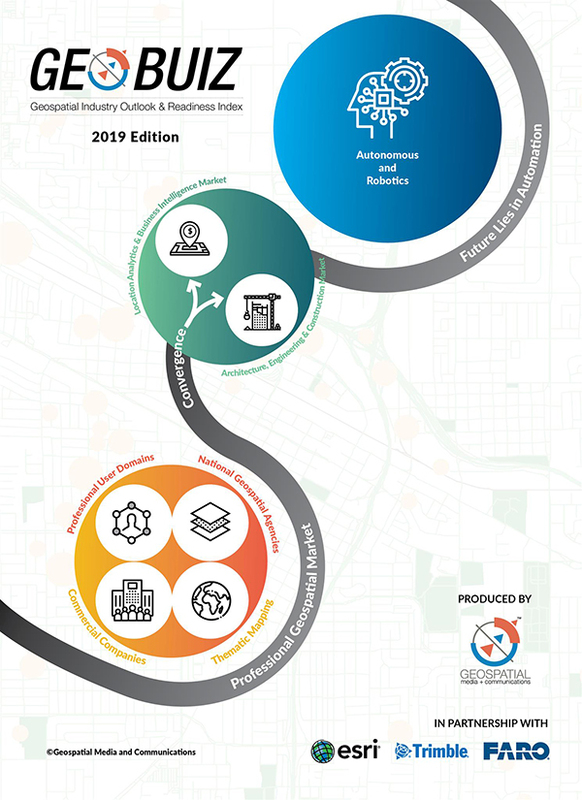 Geospatial Media and Communications is releasing the IIIrd edition of the GeoBuiz-19 report which highlights the geospatial industry fabric, the location intelligence market dynamics, geospatial market in the AEC industry and a comparative appraisal of 75 countries on their geospatial preparedness, i.e. the Countries Geospatial Readiness Index -19. 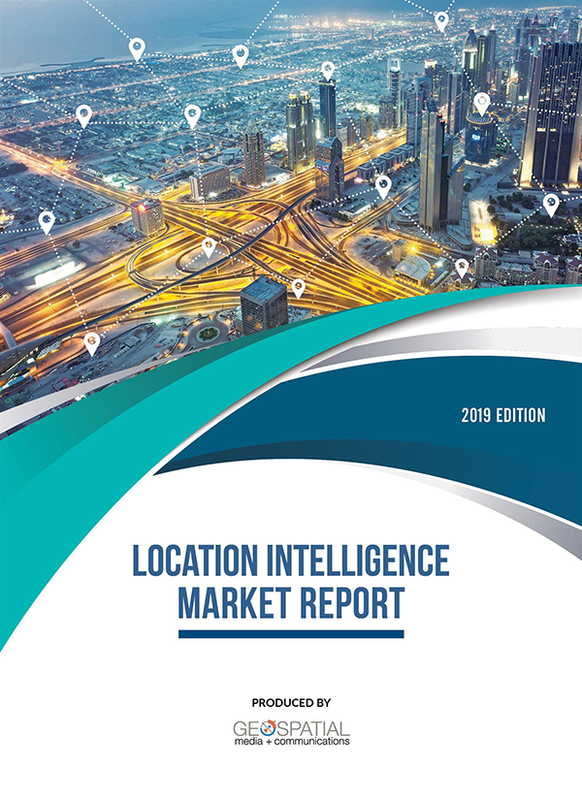 The report presents a harmonized and in-depth analysis of the geospatial industry, and its relevance in the Location intelligence market and in the AEC industry - covering technologies, infrastructure, policies, drivers, users, challenges, trends and innovations. The GEOBUIZ-19 Report provides answers to the following questions and much more! What are the growth drivers of the digital revolution that are impacting the geospatial industry significantly? What is the M&A and Partnerships trend of the geospatial industry? 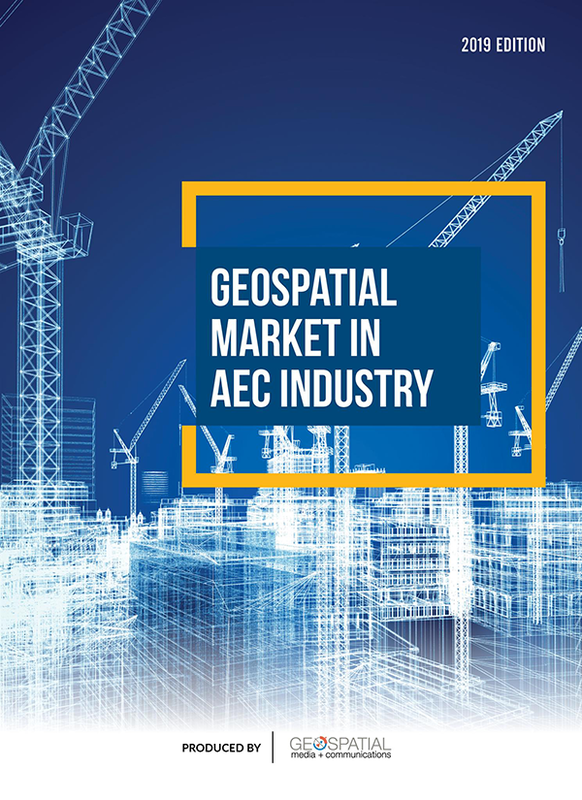 What is the global geospatial industry market size? Which are the most important geospatial technology segments in terms of market size? What does the geospatial industry map look like? How big is the LI market? Which are the most significant regional markets for LI solutions? What is the strategic relevance of geospatial readiness in a country? How do regions fare in geospatial preparedness? How does a country with a higher G-Readiness score fare in the Human Development Index, WEF Competitive Index and the e-Government Survey Index? Where does your country stand in geospatial readiness of data infrastructure, policies, user adoption, academia and research institutions and the industry fabric?